An event organized by Yeghishe Charents Museum of Literature and Arts, Yeghishe Charents House-Museum and the Writers’ Union of Armenia was today held at the monument of “The Frenzied Masses” dedicated to the 120th birthday anniversary of prominent Armenian poet Yeghishe Charents. During the meeting with the reporters literary critic Davit Gasparyan noted that Yeghishe Charents was a complicated figure. “He early works came as worships of mystery, future. Later on, we see monumental Charents and the early years of love and lyrics were left behind. In 1935, 36, 37, before his death, he faced cruel and hard years with his works taking new forms and directions. His poems were extremely deep and diverse,” he noted. Yeghishe Charents Museum of Literature and Arts, as well as its branch museums will hold events dedicated to Charents’s 120th anniversary throughout the whole year. Yeghishe Charents (Yeghishe Soghomonyan) was born in Kars (then a part of the Russian Empire) in 1897 to a family involved in the rug trade. He first attended an Armenian, but later transferred to a Russian, technical secondary school in Kars from 1908 to 1912.In 1912, he had his first poem published in the Armenian periodical Patani (Tiflis). Amid the upheavals of the First World War and the Armenian Genocide in the Ottoman Empire, he volunteered to fight in a detachment in 1915 for the Caucasian Front. 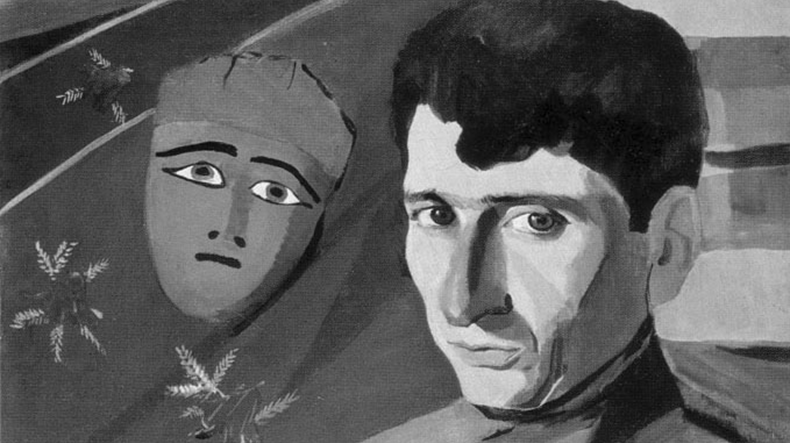 Sent to Van in 1915, Charents was witness to the destruction that the Turkish garrison had laid upon the Armenian population, leaving indelible memories that would later be read in his poems. He left the front one year later, attending school at the Shanyavski People's University in Moscow. The horrors of the war and genocide had scarred Charents and he became a fervent supporter of the Bolsheviks, seeing them as the one true hope to saving Armenia. Charents joined the Red Army and fought during the Russian Civil War as a rank and file soldier in Russia and the Caucasus. In 1919, he returned to Armenia and took part in revolutionary activities there. A year later, he began work at the Ministry of Education as the director of the Art Department. Charents would also once again take up arms, this time against his fellow Armenians, as a rebellion took place against Soviet rule in February 1921. Then, Charents published his satirical novel, Land of Nairi (Yerkir Nairi), which became a great success and twice published in Russian in Moscow during the life of poet. A victim of Stalinism, he was imprisoned and died in prison during the 1937 Great Purge. He was rehabilitated in 1954 after Stalin's death.